Our stay in Belgrade was just not long enough. We arrived after dark in the evening and had to catch a morning flight out the next day. We made the most of it however, thanks to some helpful advice from our host at Hostel Revolution. We walked most of the major areas within the city, first stopping at Skadarlija street which is full of very nice restaurants. We indulged and ate a delicious casserole at a restaurant called Tpu Wewupt. After checking out Knez Mihailova street, another pedestrian area, we ended up at the Belgrade Fortress! This place is open 24/7 and seems to be the place for young people to hangout. We returned the next morning to get beautiful views over the Danube and Sava rivers. The other side of the river has actually never been developed, which is in stark contrast to most other cities of the world. People here must not have valued river views! It won't stay like this for long however as there is a $3 billion plan underway to redevelop the whole area. A bus to the airport and the European leg of our adventure had come to an end! The time to return to Australia had arrived. Our next stop was just one night in Ulcinj, southern Montenegro. We booked an apartment at 'Apartments Adriatic' which had great view over the town and ocean. After a tasty dinner at Pizze Bife we walked the bustling waterfront, followed by another walk in the morning throughout the old town. It was nice but also felt a little sketchy in the area between the town centre and the bus station. It was a short stay, next up - Albania! From Dubrovnik, we headed south into Montenegro en-route to our fly out destination in Albania. Kotor had been recommended to us and we completely forward on that recommendation! It's a wonderfully preserved walled in town set on among mountains and the Adriatic sea. It dates back to the 7th century. The town wall climbs up the mountain side to the Castle Of San Giovanni which gives you a stunning view. Inside the old town you can get lost in the labyrinth of lane-ways which were purposely designed that way to confuse potential invaders. We took a day trip to the nearby town of Perast. Perast is a small town with two unique islands, one of which is home to R.K.C. Gospa od Škrpjela cathedral, which you can take a small boat out to. Our hostel called 'Old Town Hostel East Wing' was just about as good as it gets, set inside a 500 year old building with great amenities and a good group of travellers at the time we stayed. Great price too, only 12 euro's per per person with an en-suite. Our favourite place to eat was Mesara Tanjga, with loads of fresh salads and veg but also all kinds of raw meat. You just choose your type and cut, and they cook it up! All for about 4 euros. Lucy’s Uncle Richard lives in Oxford, being an ex-University of Oxford employee gave us a fantastic guided tour of the Oxford Colleges, grounds and laneways filling us in on the history of the city. This was followed by afternoon tea in a High Street tea room as it started to get dark outside on a crisp October evening. Richard and Anne were fantastic hosts, greeting us with a warm cuppa and a chat each evening. Oxford was built on the crossing of two rivers (Thames and Cherwell) it has many waterways running through the city. We enjoyed walking into Oxford along one of the many canals, taking in the scenery and the canal boats lining its banks. The pedestrian main streets make it easy to walk through the city. We loved the Covered Market, an old-fashioned mall which offers cheeses, tea rooms and shops all under the cover of a roof. We also took the opportunity to have a well-overdue catch up with friends and family, enjoyed evensong in Christchurch College, and a lager or two in some of the cosy old pubs. We arrived in London and caught the train into Paddington Station. It brought back memories for both of us seeing the UK flags hanging from the rafters. It was great to be back with some time to explore this great city! Originally from the UK Lucy spent a bit of time catching up with English friends, and lots of our Aussie friends who are over living in London. We enjoyed a morning at the Borough Market, sampling delicacies along the banks of the River Thames. Crossing the river we visited the Tower of London, adorned with a flowing carpet of ceramic poppies planted to commemorate the centenary of the First World War. It was an inspiring sight, 888,246 poppies, one for each British fatality. Lucy’s Grandfather celebrated his 90th birthday during our visit, and we enjoyed being a part of the celebrations and catching up with family, overlooking rolling green fields in Harrow on the Hill. 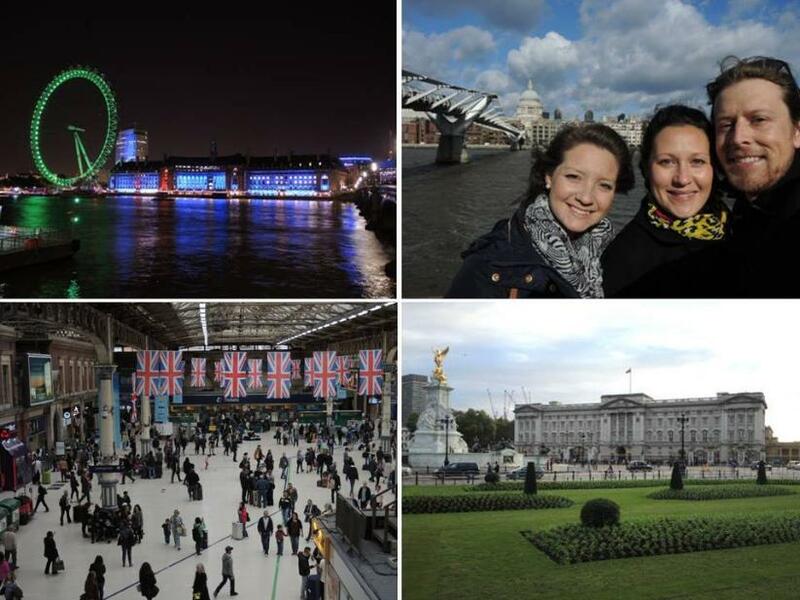 We took in some other main sights, sipped lattes in Clapham Junction and explored the Brixton Village Market at night. And on our last evening, we enjoyed a stroll along the river soaking up the London sights light up by flood lights....Ahhhh London! I was originally thinking of heading into Minsk, the capital of Belarus after Vilnius but due to the time it takes to get a visa as well the cost, I changed my plans and decided to take the 7 hour Lux Express bus to Warsaw. I had been to the region around Krakow previously but not to Poland's capital. It felt like a modern metropolis when I arrived in the new bus station, flashy billboards and glass covered buildings. It's come a long way since the early 90's. I Couchsurfed with Paulina, a great host who gave me loads of tips and took me to Zapiecek an authentic Polish restaurant so we could enjoy potato pancakes, goulash and dumplings. She also took me to a vodka bar which are scattered across the city. The concept it simple, on your way to a club - stop at a tiny vodka bar with around 50 flavour options, shoot 3 or 4 at 1 euro a pop and continue on to the club. Ideal for a pre-drink. Warsaw is a big city of 1.7 million and you can sense both the Russian communist feel as well as the new exuberant western European feel. It's busy and in a good way. I walked right throughout the city centre checking out Royal Park which includes the Chopin Monument, the Presidential Palace and the Polish National Opera building. The old town was a fascinating place to walk around. On the face of it, it seems like a collection of impressive building and squares that date back to the 13th century. This is true but around 90% of the city was destroyed in world war II, so therefore the majority has been rebuilt since then. A 5 hour bus from Talinn to Riga...I wasn't expecting anything that great, but it really was! If you book with Lux Express, you get leather seats, a personal screen packed with movies, internet and Wi-Fi, all for less than 15 euro - nice! There are quite a few similarities between Latvia and Estonia in terms of the people and landscape. It small country of 2 million people and most reside in the capital, Riga, a city renowned for it's night life. I stayed at the Naughty Squirrel Hostel, a fantastic hostel in the heart of the old town. For my last night I Couchsurfed with Laura and her family south of the city centre. There is plenty to see and do in Riga, the old town is beautiful, you could easily spend a few hours just wandering around, checking out St Peters Church, Riga Dome Church, Doma Laukums and the green park by the city canal. 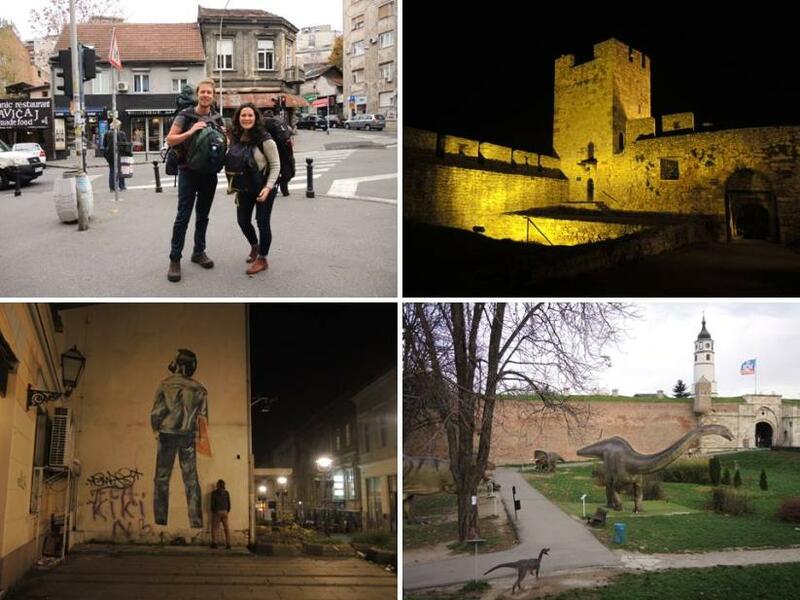 I enjoyed do a few nights out with some pals I met including a great traditional meal at Folk Club Ala, a few drinks at the local Aussie bar and the popular nightclub - Rokkafejnica. The open air museum, just out of town is a huge open space set in the forest and is full of historic buildings, well worth a visit! The Central market is one of the worlds largest, full of all types of food and is even Unesco listed. A slighly odd experience was when I visited and Russian market, full of old war memorabilia. I was checking out old coins and gas masks when I noticed behind me a guy practicing knife throwing into and old board...he was not the friendliest looking guy when he glanced across at me, so I quietly slid away. There are two ferry options to get to Estonia, the 2 hour option and the less expesive but slower 2.5 hour option. I opted for the 2 option with Eckeroline. It was probably the biggest ship I have been on, complete with two bar lounges, two restaurants and rooms over 5 levels. I arrived in Talinn and Couchsurfed east of the city with Kadri. Estonia is small with just 1.325 million people with the majority residing in Tallinn. A charming city with a fantastic and near complete walled old town. Timing seemed just right, as the busy season was over yet the weather was still good. I only spotted half a dozen other travellers in the old town. It's a fascinating place with a history of varied fortunes and still has a significant Russian influence. Some highlights include the Art Museum of Estonia, the office of the president of Estonia, Patarei (an ex-Russian prison), the Occupation Museum and of course the old town itself which is split into to distinct areas. In terms of food, the Olde Hansa restaurant was spot on. Set in a 14th century building, 14th century food is served on traditional plates and the whole place is lit by candals. Even in the bathrooms, hands are washed by pouring a hinged jug of water - just like in the 1400's! Well worth the day trip, was a bus journey to Haapsalu. Some call it the Venice of the east...It's not but it's a quaint town set in the Estonian countryside, right by the ocean. It's a nice place to spend a day, I checked out the Haapsalu castle, the promenade and the slew of traditional old wooden houses. The cheapest way to fly from Toronto to Europe, was via Rome. Would you believe it?? Once our gear was sold, I booked the flight and off I went with Air Transat. Two days in Rome and then a flight to Helsinki. It has been 10 years since I explored Rome, and as this was my first view of Europe after such an extensive time in North and South America, let's just say I was yet again blown away. It's like an enormous museum with unmatched history and character. With less than 48 hours, and like a kid in a lolly shop I wandered in and around a good portion of the city centre. It's not just the main sights, but the people and their way of life. Properly enthralling. Gone are the modern glass building, 6 lane highways and gigantic SUV trucks. Hello colourful ancient building, winding lane ways and smart cars. The Funny Palace hostel was ideally located next to the main train station and after delicious pizza, coffee and ice-cream - I found myself boarding a plan to the next destination: Helsinki, Finland.